The car-free concept will see Queen Street and adjoining streets turn into pedestrian and public transport zones. The Auckland CBD is in the process of a serious transformation. In addition to the City Rail Link, the multimillion-dollar Commercial Bay development and plans to introduce light rail, over the next ten years Auckland Council has a vision to transform the waterfront into a people-friendly environment in line with the 36th America's Cup and APEC forum. 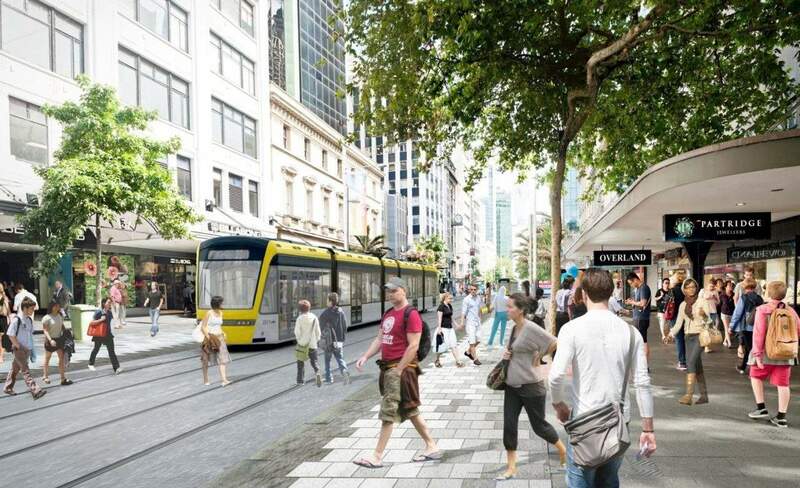 Now, Auckland Council's Planning Committee has unanimously voted to pedestrianise the city's main street. Mayor Phil Goff says the Access for Everyone project will develop Auckland's city centre into a vibrant public space for people by "introducing generous pedestrian-friendly areas within the historic Queen Street valley." The car-free concept will see Queen Street and adjoining streets like High and Federal turn into pedestrian and public transport zones. Goff says the Queen Street air quality is massively affected by emissions from vehicles and that banning vehicles has the potential to create the cleanest air of any city in the world. The Planning Committee has requested trials in the city centre, which will likely take place next year. General Manager of the Auckland Design Office, Ludo Campbell-Reid, says the new concepts have been co-created with a number of external partners and the community, to help reclaim our city for people. Through November and December, Auckland Council will be popping up at different locations and events downtown where share feedback and see where they are up to with the Downtown Programme. Visit AT.govt.nz/downtown for more information.